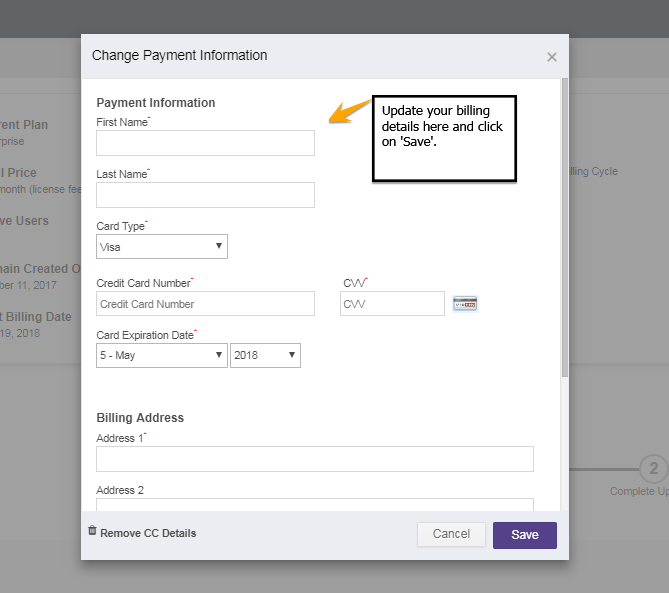 You are here: Home / Billing / How do I change my billing information? Click on “Billing” from the left-hand navigation. Change and enter valid credit card details and click on “Save” button.